In 1962/63, United came up with a very interesting and striking shirt design. The shirt was of a "harlequin" style; a term used in those days to describe jerseys where the main body was made from four separate panels. More recently the term, "quartered" has been used to describe this kind of shirt which was most famously worn by Bristol Rovers. The colours used in this top were black and white. There were four panels (two black and two white) on the front and the same on the back. The key difference was that the back panels were reversed from the front of the shirt. 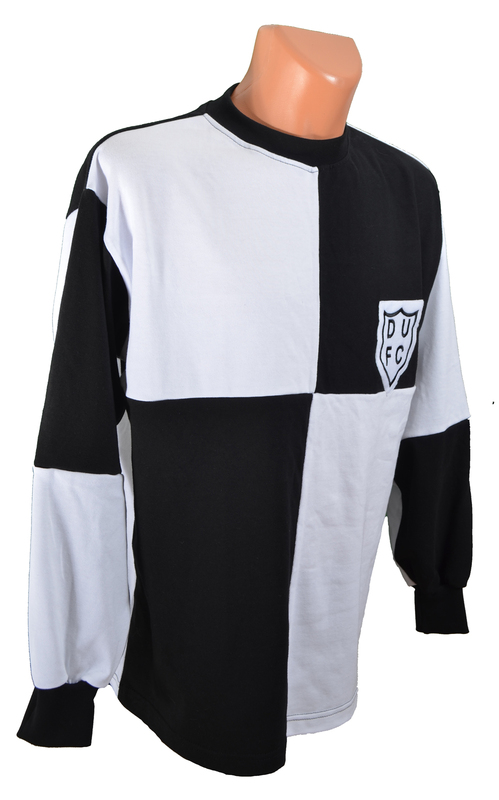 The sleeves also had four panels on each, again black and white. The shirt had a black round neck and matching black cuffs. The badge was positioned predominantly on the top black panel and therefore the black shield and 'DUFC' embroidered text was set against a white panel to ensure visibility against the black background. The shorts were black with a white stripe down each side. The socks were white with two black stripes around the top. It is believed the kit was worn just the once. 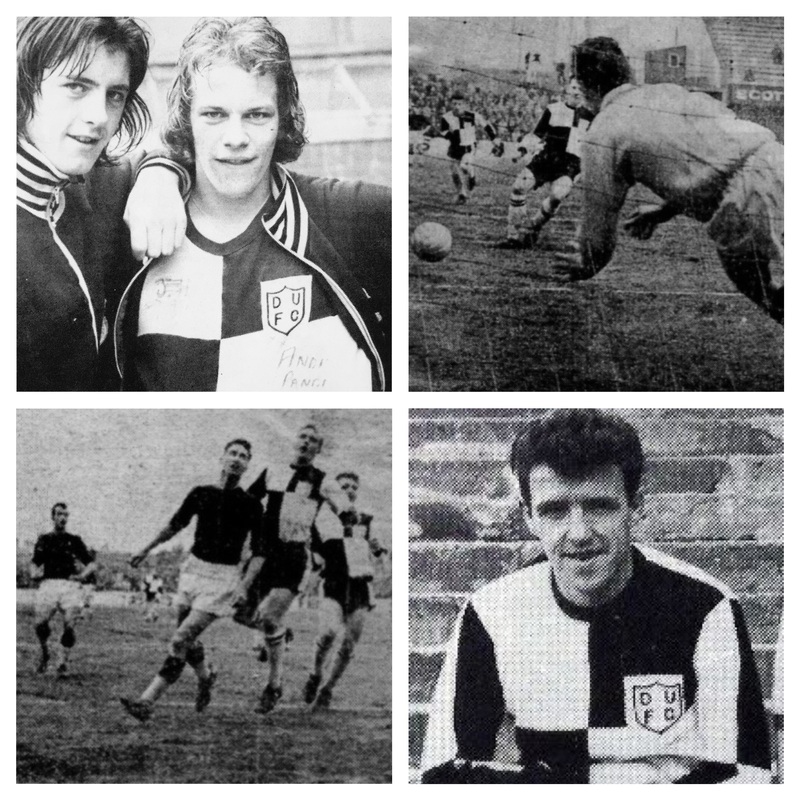 This was during the league match with Falkirk on the 6th of April 1963.